Save with CE Drive-Thru Repair Bonus Bucks - It's just like cash, only better! As a big "thank you" for doing business with us, receive $5 in Bonus Bucks for every $100 you spend with CE on a drive-thru repair. 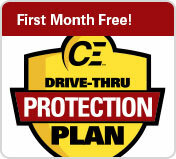 With our exclusive CE Bonus Bucks Loyalty Program, you'll enjoy extra savings on future drive-thru repairs. 1. Receive $5 Bonus Bucks with any $100 repair order. 2. Include Bonus Bucks in the box with your broken equipment. 3. 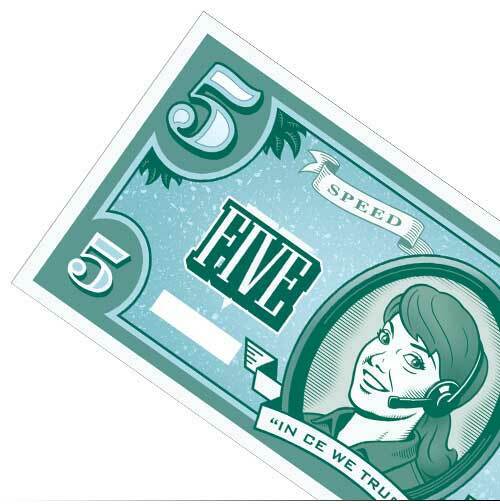 We'll deduct the amount of Bonus Bucks you send in from your total repair bill. Keeping your drive-thru equipment in tip-top shape can get expensive. 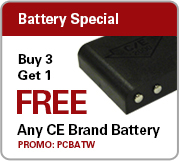 That’s why CE offers a variety of special savings to our valued customers. In addition to our drive-thru repairs bonus bucks, we also offer a great multi-store discount special. And if you find a lower price somewhere else, we’ll match any competitor’s coupon, so you never pay more at CE. Some restrictions and conditions apply with all coupons and discounts. Call for details.